We are a team of 5 tenacious agents working 7 days a week, versus the industry standard of having just one agent working 5 days a week. As a former sales executive of a Fortune 250 company, Dorothy Phillips has assembled a group of disciplined, experienced and assertive professionals. This means the sale or purchase of your home is never left to chance.  We prepare you with a competitive analysis and an eyes wide open understanding of the marketplace at the Jersey shore. We navigate you through the sale process always placing your needs above ours. We have sales experts to the east and west. Knowledgeable shoreline agents team up with our dedicated Philadelphia-based representative to market our listings wisely to a broad range of sophisticated buyers. We are at your home before and during every showing to make sure it is displayed and promoted to perfection. Your home is not in the dark and neither are you. We keep you informed about the activity of the sale with updated market analysis, bi-weekly reports, phone discussions and automated email updates. Contact one of our experts for questions on how we can best market your property to maximize your success. Dorothy Phillips is driven by three principles in her career. One; market and sell properties at the best possible price for her clients. Second; provide the most complete and honest customer service in the business. And the third; repeat the first two over and over again. Persistence, which a gentler word for relentless is how Clark Hindelang pursues closing deals on behalf of his clients at Dorothy & Company. In her 14-year career as a real estate professional, Nicole Farina has negotiated more than a quarter billion dollars in transactions. With Sarah Phillips Robinson on the Dorothy & Company team, we give you a reach into the prosperous markets of Philadelphia's mainline each and every day.